Do you have an Artificial Intelligence project in mind? 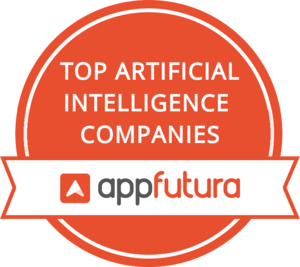 Check the Top AI Developers listed in AppFutura’s directory to know the most professional Top Artificial Intelligence Companies and how they can help in developing an AI project. These Top AI Developers have gained the trust of their former clients’ due to their large experience when working on artificial intelligence technology. Read the reviews for these Top Artificial Intelligence Companies to see what they are capable of. Artificial Intelligence was born just as an academic discipline back in 1956. Since then, the term has evolved drastically and now it considers all machines which mimic the cognitive functions of any human, an example will be solving a problem or learning from a situation and acting according to that learning. Top Artificial Intelligence Companies have been working on implementing the best technology and the most novelty one into daily devices like smartphones or even cars and TVs. Having the opportunity to work with one of the Top Artificial Intelligence Companies that AppFutura has in its listings will allow you to get the best experience. These Top AI Developers have been working since the launch of the technology so their expertise is extraordinary as their clients’ reviews explain. With thousands of Artificial Intelligence projects, these Top AI Developers have been delivering top-notch AI applications but also uses for the technology. In fact, one curiosity among these Top Artificial Intelligence Companies is that they have to keep up to date with the upcoming technology, because the AI concept only applies to new technologies and not to already existing and having become routine technology, like the optical character recognition, which was considered Artificial Intelligence some years ago.